The complete pricing and market intelligence system for self-storage operators. 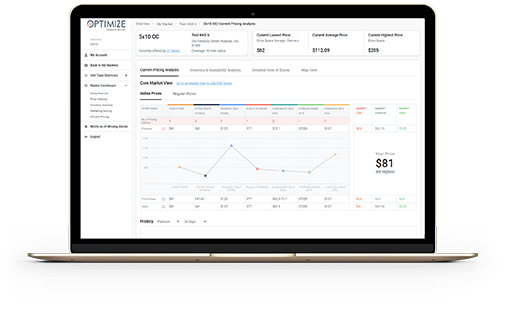 Market intelligence, valuation and opportunity analytics for investors and owners. Direct data services that easily integrate with revenue management and internal systems for system managers, data analysts and third party integrators. Use our intuitive analytics and interactive graphing and reporting tools to get in-depth and up-to-date competitive information. Current and historical data, with a powerful alerts system that ensures you have all the data intelligence you need to optimize prices and product offerings and succeed. Sign up for a Free 7-day trial now. Our smart benchmarking means you can compare rates with the right competitive offerings. StorTrack dynamically classifies messy data into normalized and comparable sets to enable you to quickly and accurately compare like-for-like. See our data in action with a free 7-day trial now. 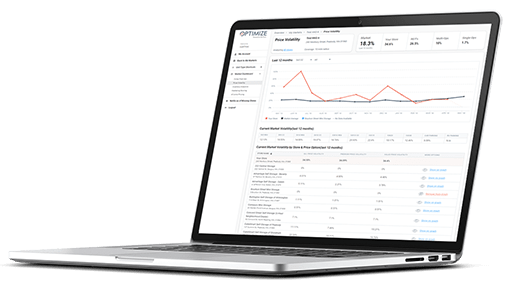 Stortrack doesn’t take samples and extrapolate, it uses ALL available data and cleans, classifies and processes this data into the right form for you to get maximum insight. We dynamically pull demographic and key demand data from markets, integrate with all pricing data, to provide investors and owners with uniquely powerful insight into market dynamics and opportunity. Upgrade to a single, multiple lopcation or PLUS subscription at any time.